The Heilmeier Award honors a Penn Engineering faculty member whose work is scientifically meritorious and has high technological impact and visibility. It is named for George H. Heilmeier, a Penn Engineering alumnus and overseer whose technological contributions include the development of liquid crystal displays and whose honors include the National Medal of Science and Kyoto Prize. Shenoy’s research interests include developing theoretical concepts and numerical methods to understand the basic principles that control the behavior of both engineering and biological systems. The goal of his group’s work is to address challenges in modeling engineering and biological systems by combining atomic scale simulation methods with continuum or mesoscale theories and by adapting insights from condensed matter physics, solid mechanics, chemistry, materials science and applied mathematics. 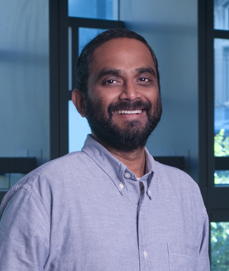 To learn more about Shenoy and his research, visit his faculty research profile.